SKU: #10-704MOD1. Category: Case Goods. 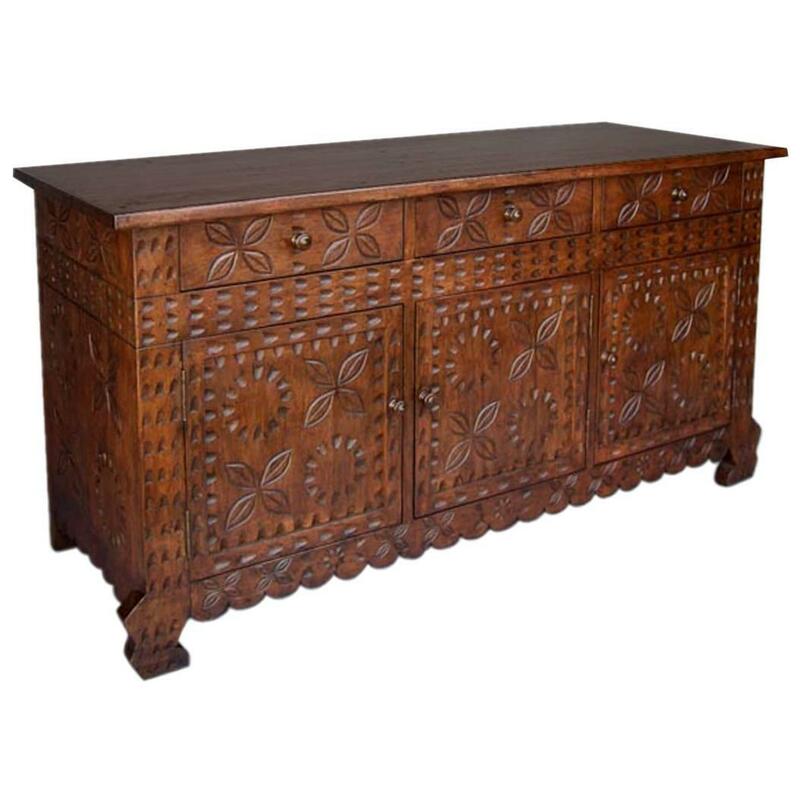 Intricately carved custom console with drawers and door. Carvings on three sides. Can be made in walnut or alder, in a variety or colors and finishes in custom sizes. As shown in Alder. Price depends on wood type. Made in Los Angeles.